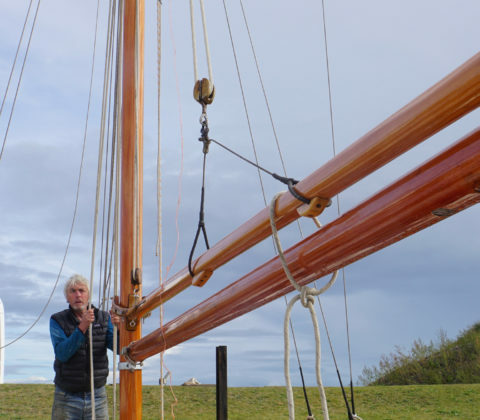 Along with tidying up the site, Steve’s hoping that the sailmaker will be able to measure up before the end of the season, so is keen to get the boom and gaff in place. There’s also nowhere left ashore to store any spars! 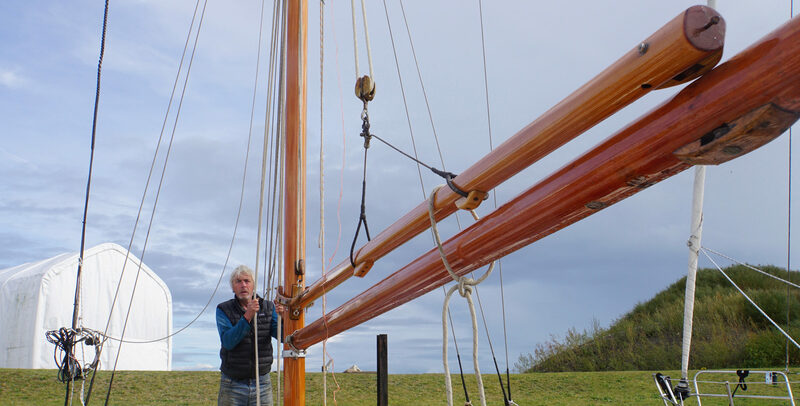 James helps bring the boom on board and Steve sets up the gaff and calls to make a date with Ratsey & Lapthorn. 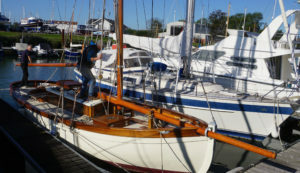 All fixed, Steve and Andy will drive up from Cowes on Monday, 16 October. So, it’s time to get on with stowing everything that can be left on board for the winter and making a start on the bunks . . . fortunately, the weather seems to be quite settled, and not too cold as we may need to work into the autumn to get everything ready for the winter. Bev leaves Steve in Suffolk and returns to Derbyshire where the plasterers will be making a start. Measuring up for the sailsThe tent comes down!